Need to design a space for a style icon? When Hunter Douglas needs an interior designer, they call on Barbara Schmidt. 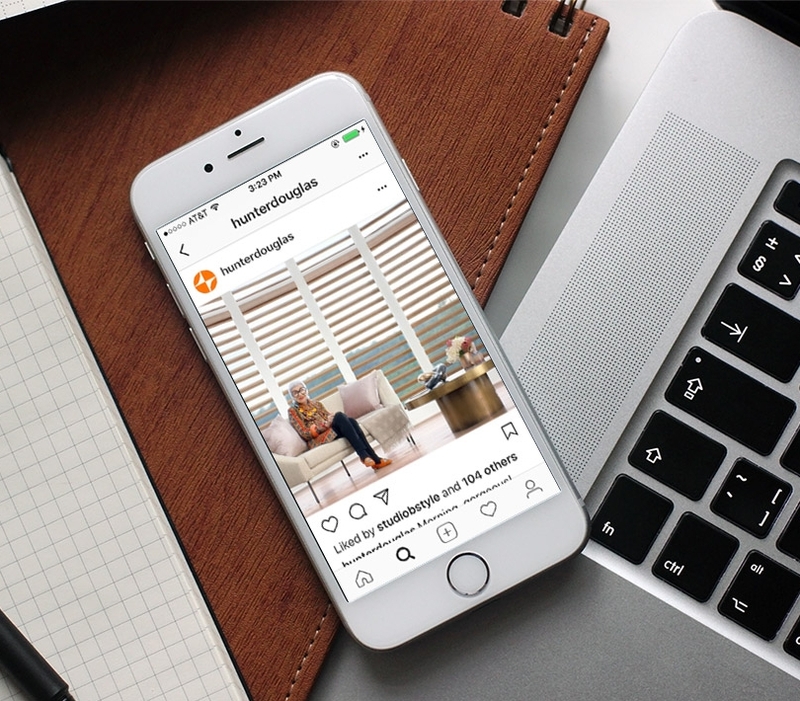 Over the last two plus decades Barbara has been designing spaces and styling them for all the Hunter Douglas brands for print, TV, web and social media. 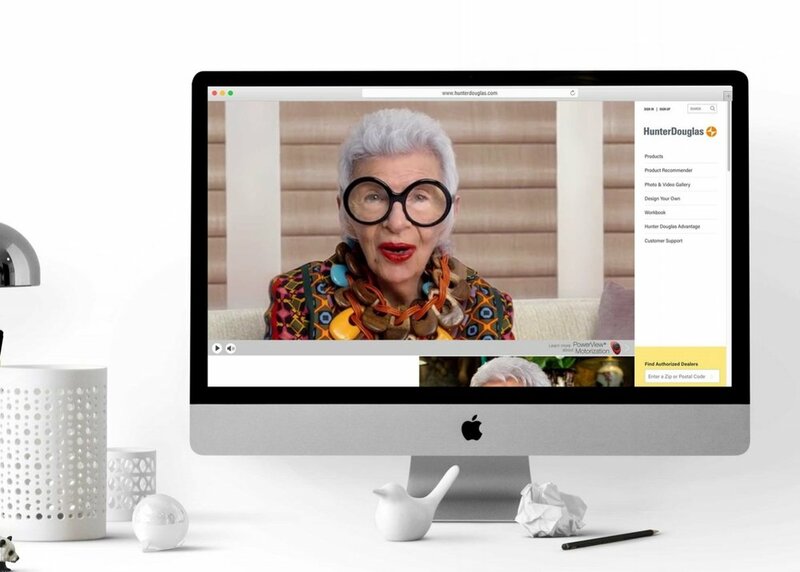 This year Barbara had the fortunate opportunity to work with Iris Apfel and director Daniela Federici for a national TV commercial. One of Barbara's best experiences was working with interior designer Kelly Wearstler, who loaned the furnishings and some of the accessories to Barbara through a friend. They say it's who you know! And indeed it is, because everything hinged on creating the perfect spaces to open and close the new Hunter Douglas PowerView® Motorization product.